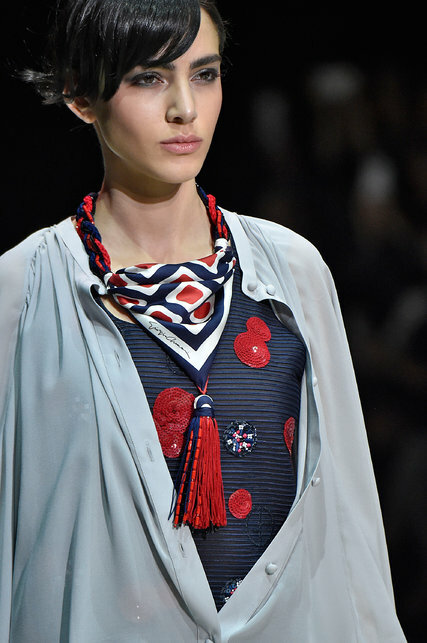 Giorgio Armani’s Milan’15 fashion show introduced me to ‘the new scarf’.This necklace is a combination of my 3 favorite things….tassel, scarf and the fact that its a necklace. I have never seen anything like this accessory before. You could easily wear it with a dress or jeans and a button down chemise.